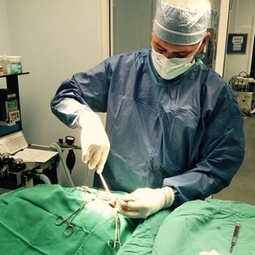 Surgery - Paws 'n' Claws Veterinary Hospital, Inc.
We offer a wide variety of surgical procedures from routine spays and neuters to more complex surgeries such as the Tibial Plateau Leveling Osteotomy (TPLO.) All patients have a pre-anesthetic blood panel completed prior to surgery to help prevent any potential anesthetic complications. Patients undergoing anesthetic procedures are closely monitored during the entire duration as well as post-surgery to ensure to smooth recovery. For routine sugeries, patients are typically able to be dicharged the same day in the afternoon while more complex procedures may require overnight hospitalization. Our clients are kept up-to-date throughout the day regarding their pet's status.